Professionally printed labels really can help set you apart from your competitors, but finding—and affording!—a good four-color printing service isn't always easy. Depending on your needs, goals, and the size of your business, you might consider purchasing your own professional-grade label printer. Great for low-volume, full-color jobs, we like the Afinia Label line of printers and rely on their L801 series for some of our own product labeling work. Looking into printing labels for your own product line? Want your mini samples from Perfectly Posh or similar companies to really sing? Or maybe you'd like to offer label-printing services to others? In that case, you might consider Afinia's L501, L701, or L801 label printer models. As a point of reference, the L501 model costs about $3,500. As for inks, the 501 series accepts either dye or pigment and is suitable for printing 2,500 to 15,000 labels per month. Its maximum print width is 8.5 inches. Ranging from $5,000 to $8,000, respectively, the L701 and L801 series provide even more capabilities. 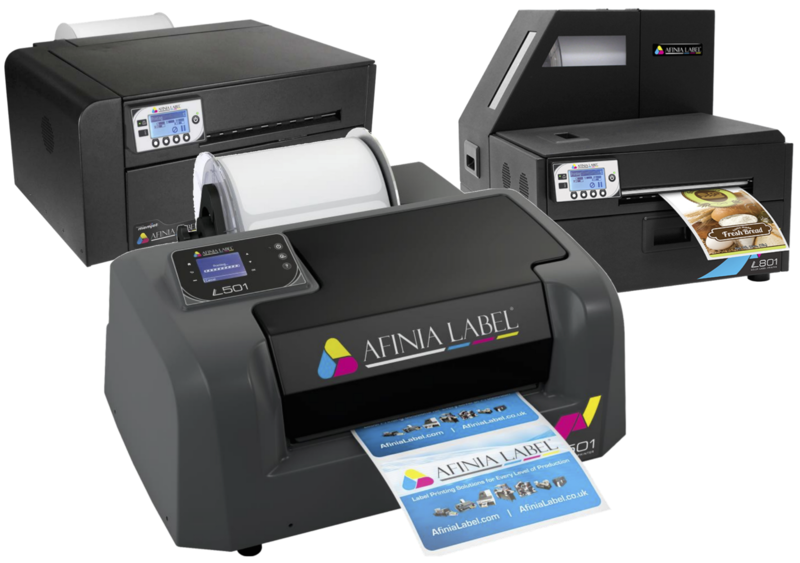 Bloomington Label Tech, a subsidiary of Soapy Soap Company, is an authorized Afinia Label printer dealer. Call us at 812-269-8812 or contact us here for more information.